Scrumptious cakes EVERYONE can eat! I believe that, regardless of what we can or can’t eat, we all deserve a delicious, decadent treat every now and then. Let me show you how to bake vegan cakes the easy way with simple, dairy-free recipes that taste just like the real thing! I’ve put together some of our most indulgent recipes at Ms. Cupcake for you to make at home, using ingredients you can easily get at the supermarket or local shop. What’s more, most of the recipes can be made gluten-free with simple substitutions. 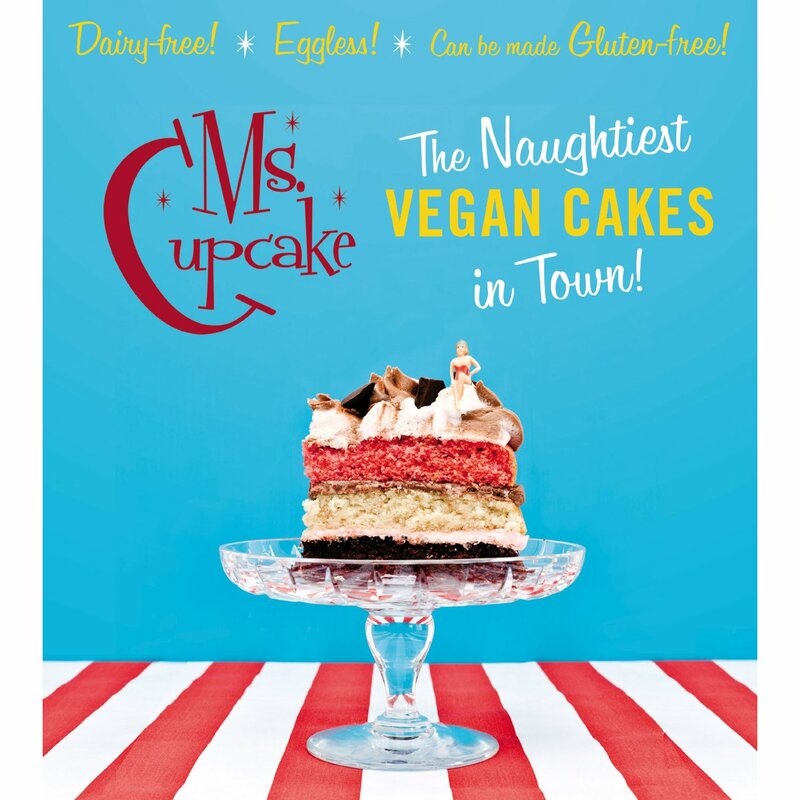 Whether you’re vegetarian, vegan, or suffer from allergies or intolerances, you too can treat yourself to cupcakes piled high with dairy-free ‘buttercream’, fruity muffins, super-easy tray-bakes and no-bakes, gooey cookies, crunchy biscuits and – naughtiest of them all – delicious dipped and fried desserts using store-cupboard basics for when you really need something special at the end of the day. We are currently writing our second cookbook, so keep you eyes peeled for more information!